Imagine no longer having to worry about booster shots for vaccinations, because all the doses for a particular vaccination are injected in one shot, waiting to be released at a predetermined time. 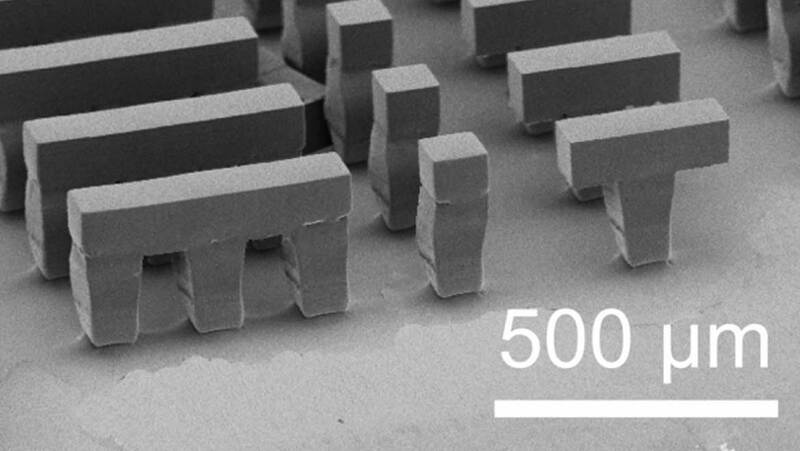 Researchers at the Massachusetts Institute of Technology (MIT) just released details of a new 3-D fabrication method which could make this vision a reality. Ana Jaklenec, co-author of the research went on to say that: “One of the main limitations there [in developing countries] is access to vaccines and the fact that you have to come back several times in order to get immunity from the pathogen. A child or baby is usually seen once, sometime around the birth by some sort of healthcare worker.” If an injection could be given at that one visit, containing all the boosters for multiple vaccines, this has the potential to dramatically improve the quality of life for many people in the future. The research was funded by the Bill and Melinda Gates Foundation, as part of a project to research new methods of drug delivery, particularly focusing on those which have the potential to release multiple vaccinations over a certain period of time, from just a single injection. Titled ‘Fabrication of fillable microparticles and other complex 3D microstructures’ the research was published in the journal Science, on September 15. The team created a tiny ‘cup’ made from a polymer known as PLGA. This polymer was chosen due to its biocompatibility, and the fact that it is already approved for use in many different medical devices including sutures and implants. PLGA can be manufactured to degrade at different rates, which allows for a single injection to contain a variety of vaccines which are all programmed to release at different times. Whilst there has been much focus on the adaptability and use of 3-D printing for a whole host of applications, in this case it was no use due to the miniscule size of the cups required to hold the vaccines. Instead, the team turned to the manufacture of computer chips for ideas and developed a new technique. Their method has been named SEAL, which stands for StampEd Assembly of polymer Layers. SEAL involves the initial creation of a silicon mold for the cups and lids, using photolithography. Next, the molds were filled with the PLGA polymer, with 2,000 cups fitting onto a standard sized glass microscope slide. The researchers also developed an automated dispenser, to fill the cups with medicine, before lids were lowered onto the filled cups. Once the whole array was heated slightly, the lids fused onto the cups, sealing the contents inside. In order to create cups which degrade at different rates, the researchers varied the molecular weight and structure of the molecules within the PLGA polymer. The rate of degradation will determine when each drug is released. So, multiple cups with the same rate of degradation could be used to deliver a strong burst of a particular vaccine, or cups with varying rates of degradation could be used to release the equivalent of a booster vaccination shot at a predetermined time in the future. To test this, the team injected mice with cups manufactured to degrade at 9, 20 and 41 days post injection. The three different capsules were filled with a fluorescent substance which could be detected in the mice after release from the capsule. “The SEAL technique could provide a new platform that can create nearly any tiny, fillable object with nearly any material, which could provide unprecedented opportunities in manufacturing in medicine and other areas.” Langer says. The next challenge will be to address the fact that the majority of vaccines are usually stored in refrigerators, so it is necessary to stabilise them so that they remain active when stored at body temperature as well. This technique could also easily be extended to other healthcare issues where multiple injections are required, including allergy medication, insulin for diabetes and even possibly cancer medication.